GAROOWE, Somalia — Abshir Boyah, a towering, notorious Somali pirate boss who admits to hijacking more than 25 ships and to being a member of a secretive pirate council called “The Corporation,” says he’s ready to cut a deal. Facing intensifying naval pressure on the seas and now a rising backlash on land, Mr. Boyah has been shuttling between elders and religious sheiks fed up with pirates and their vices, promising to quit the buccaneering business if certain demands are met. For the first time in this pirate-infested region of northern Somalia, some of the very communities that had been flourishing with pirate dollars — supplying these well-known criminals with sanctuary, support, brides, respect and even government help — are now trying to push them out. Grass-roots, antipirate militias are forming. 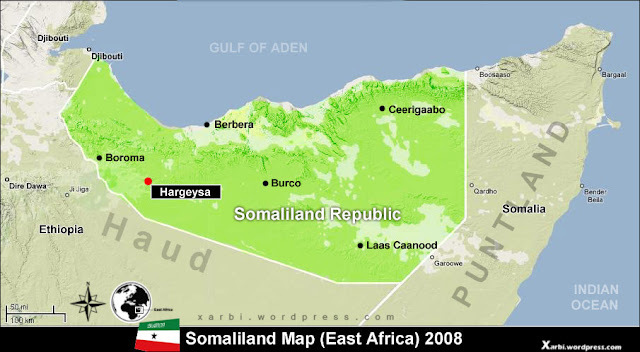 Sheiks and government leaders are embarking on a campaign to excommunicate the pirates, telling them to get out of town and preaching at mosques for women not to marry these un-Islamic, thieving “burcad badeed,” which in Somali translates as sea bandit. 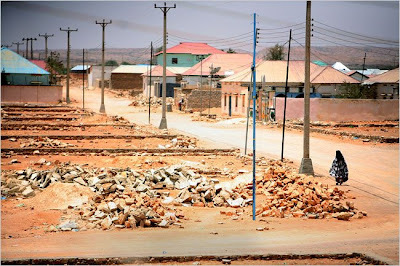 There is even a new sign at a parking lot in Garoowe, the sun-blasted capital of the semiautonomous region of Puntland, that may be the only one of its kind in the world. The thick red letters say: No pirates allowed. Much like the violence, hunger and warlordism that has engulfed Somalia, piracy is a direct — and some Somalis say inevitable — outgrowth of a society that has languished for 18 years without a functioning central government and whose economy has been smashed by war. But here in Garoowe, the pirates are increasingly viewed as stains on the devoutly Muslim, nomadic culture, blamed for introducing big-city evils like drugs, alcohol, street brawling and AIDS. A few weeks ago, Puntland police officers broke up a bootlegging ring and poured out 327 bottles of Ethiopian-made gin. In Somalia, alcohol is shunned. Such a voluminous stash of booze is virtually unheard of. In the past 18 months, Somali pirates have netted as much as $100 million hijacking dozens of ships and holding them ransom, according to international maritime groups. It will be exceedingly difficult for these men — or the local businesses that they support — to make that kind of money doing anything else in this beleaguered nation. Still, the Puntland pirate bosses insist they are ready to call it quits, if the sheiks find jobs for their young underlings and help the pirates form a coast guard to protect Somalia’s 1,880-mile coastline from illegal fishing and dumping. These are longstanding complaints made by many Somalis, including those who don’t scamper up the sides of cargo ships, AK-47 in hand. It is a stretch, to say the least, that the world would accept being policed by rehabilitated hijackers. But on Monday, Mr. Boyah and two dozen other infamous Puntland pirates, many driving Toyota Surfs, a light, fast sport utility vehicle that has become the pirate ride of choice, arrived at an elder’s house in Garoowe to make their case nonetheless. “Negotiation is our religion,” said one pirate, Abdirizak Elmi Abdullahi. Puntland officials acknowledge, grudgingly, that the pirates have helped them in a way: bringing desperately needed attention and aid. Last month, after an American sea captain was kidnapped by Somali pirates, donor nations pledged more than $200 million for Somalia, in part to fight piracy. Since then, foreign navies have increased their patrols and arrested dozens of pirates. Mr. Boyah conceded that business was getting riskier. But, he said, there are still plenty of merchant ships — and plenty of ocean. “It’s like hunting out there,” Mr. Boyah said through an interpreter. “Sometimes you get a deer, sometimes you get a dik-dik,” a runty antelope common in Somalia. Mr. Boyah, 43, was born in Eyl, a pirate den on the coast. He said he dropped out of school in third grade, became a fisherman and took up hijacking after illegal fishing by foreign trawlers destroyed his livelihood in the mid-1990s. “He’s respected as a pioneer,” said Yusuf Hassan, the managing editor of Garoowe Online, a Somali news Web site. When Mr. Boyah walked into a restaurant recently, he had to shake half a dozen hands before sitting at a plastic, fly-covered table with two foreign journalists. The restaurant sat across from the presidential palace. Mr. Boyah cut right through a crowd of Puntland soldiers to enter. He is hard to miss, about 6 foot 4 and dangerously thin. Earlier, he had been sitting on a couch, thigh to thigh, next to a high-ranking police chief. The two joked — or maybe it was not a joke — that they were cousins. Puntland’s last president, Mohamud Muse Hirsi, was a former warlord widely suspected of collaborating with pirates and voted out of office in January. The new president, Mr. Abdirahman, is a technocrat who had been living in Australia and came back with many Western-educated advisers — and an ambition to be Somalia’s first leader to do something substantive about piracy. He formed an antipiracy commission and even issued a “First 100 Days” report. Indeed, it is hard to see exactly where all those millions went, at least here in Garoowe. There are some nice new houses and a few new hotels where pirates hang out, including one encased in barbed wire called “The Ladies’ Breasts.” Dozens of dusty Surfs prowl the streets. But not much else. He claims that his estimated take of several hundred thousand dollars disappeared down a vortex of parties, weddings, jewelry, cars and qat, the stimulating leaf that Somalis chew like bubble gum. Oh, Mr. Boyah added, he also gives 15 percent to charity, especially to the elderly and infirm. “I’d love to give them more,” he said. Over all, he seemed like a man on a genuine quest for redemption — or a very good liar. And then his silver Nokia phone chirped yet again. He would not say what he needed to do, but it was time to go.